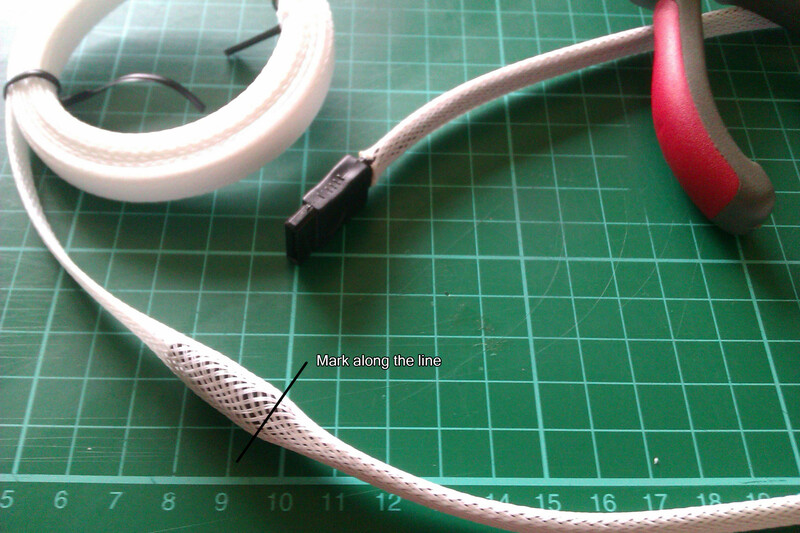 Welcome to my SATA cable Sleeving guide. 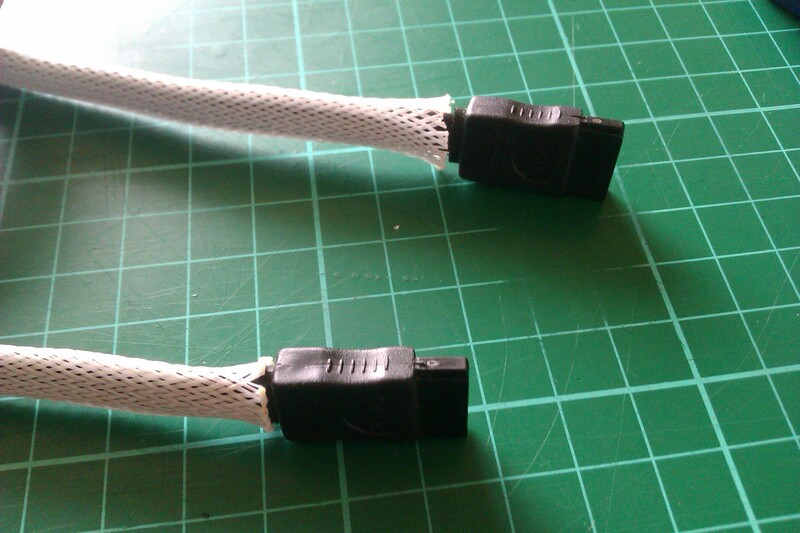 And obviously a SATA Data Cable. It's worth while saying before I start that if you want a solid colour sleeving job, use a SATA cable that is the same colour as your sleeve, I didn't, because I actually wanted to be able to see the black cable beneath the sleeve. 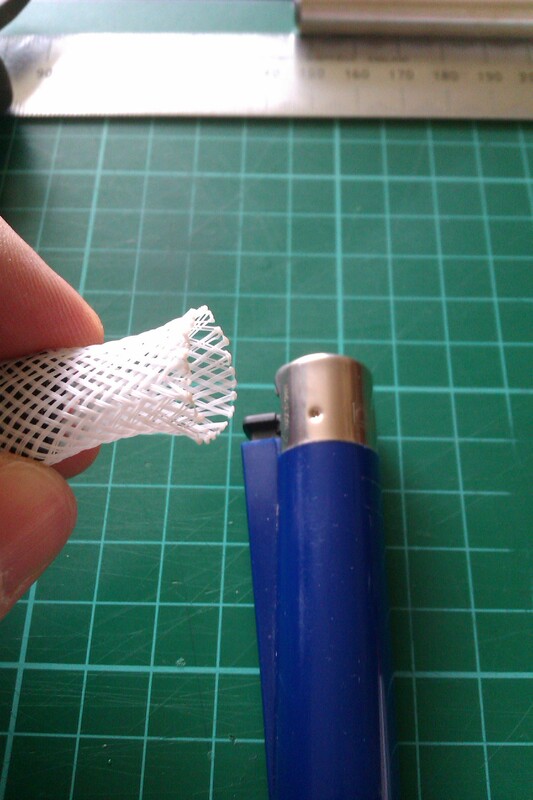 Take your sleeving and leave it on the roll DO NOT measure it out to length, all will become clear as we proceed, singe the end of the sleeve to gather the loose fraid ends and make the next step so much easier. 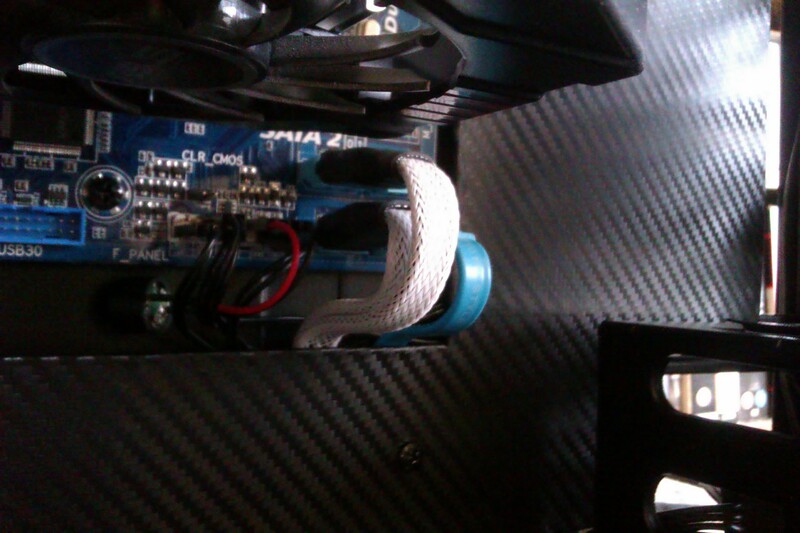 Slide your sleeve onto your chosen SATA Cable, it can be a bit of a fiddle but go with it, once your on slide it right to the opposite SATA connector, stop at the connector. 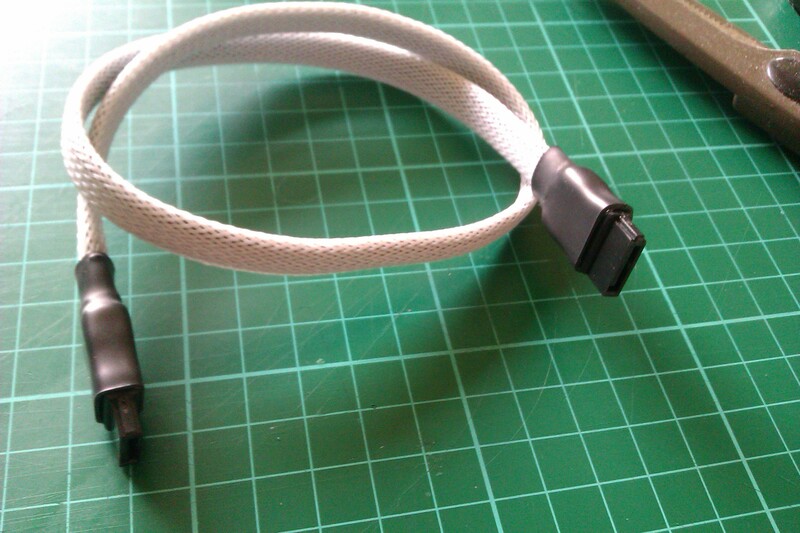 Remember you're only covering the cable not the plugs, once you have reached the plug, pinch the sleeve and run your other hand back along the cable to tighten up the sleeve, now that you have done that mark the sleeve where it meets the connector (pictured below). Now you need to back the sleeve off the cable, once you have enough sleeve backed off (pictured below) you can cut your mark from Step 2. 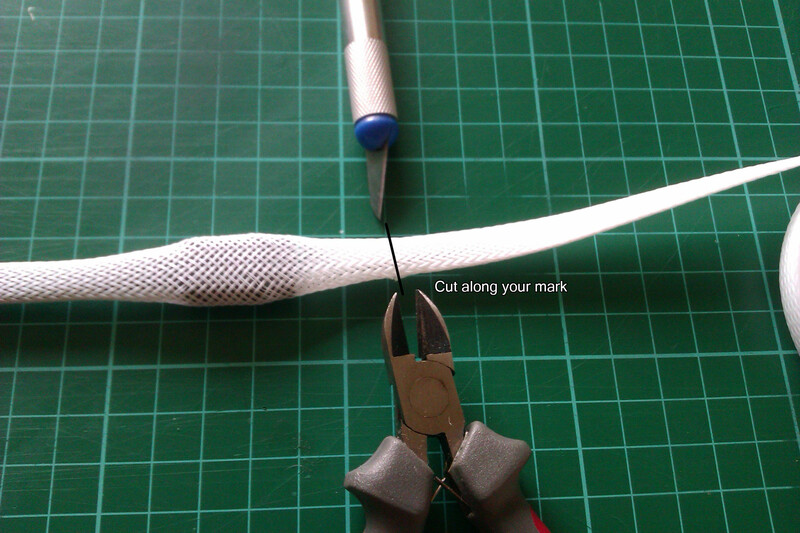 Once you have a nice clean cut, you now have the sleeve at the correct length for your SATA cable, which is why at the beginning I said leave it on the roll now before we slide it back onto the cable you will need to use your lighter again to singe the end to avoid fraying. 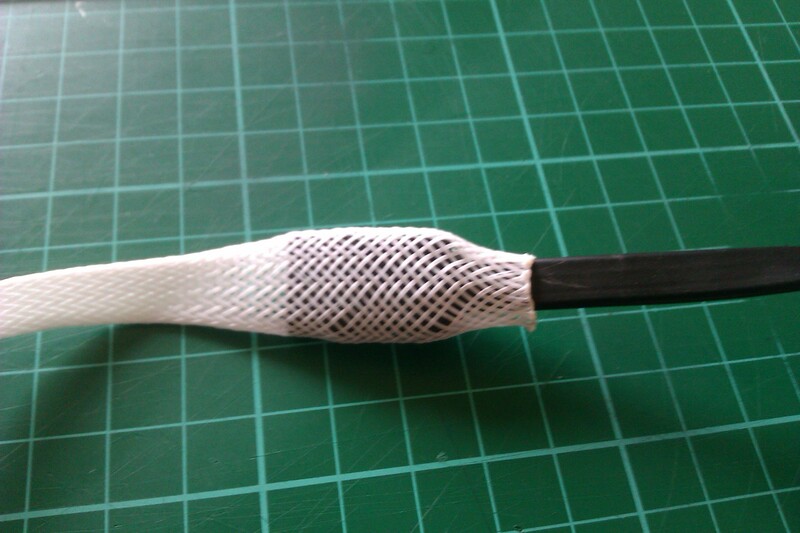 Now all you need to do is slide the sleeve back onto the cable and remove the slack by pinching one end and sliding your other hand along the length, you should have something like this pictured below. 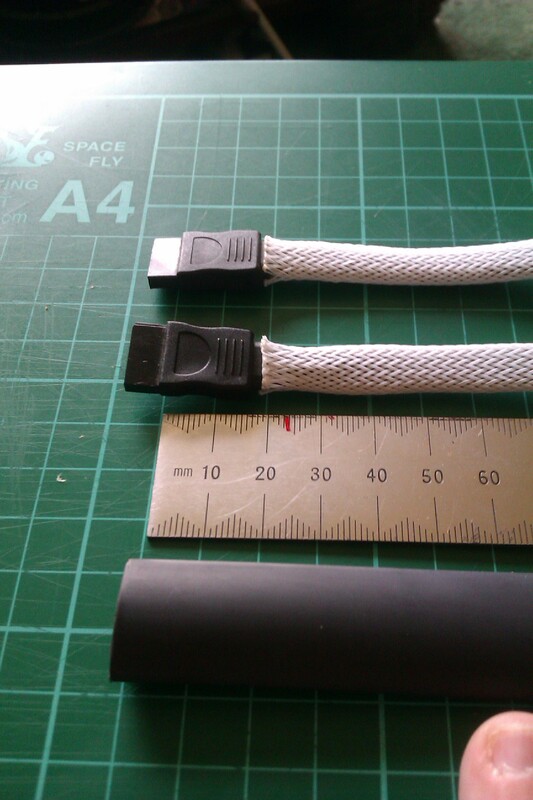 Now you take your semi sleeved cable and measure how much shrink your going to need, I've gone for 25mm as I'm covering the plug as well as the sleeve edge. 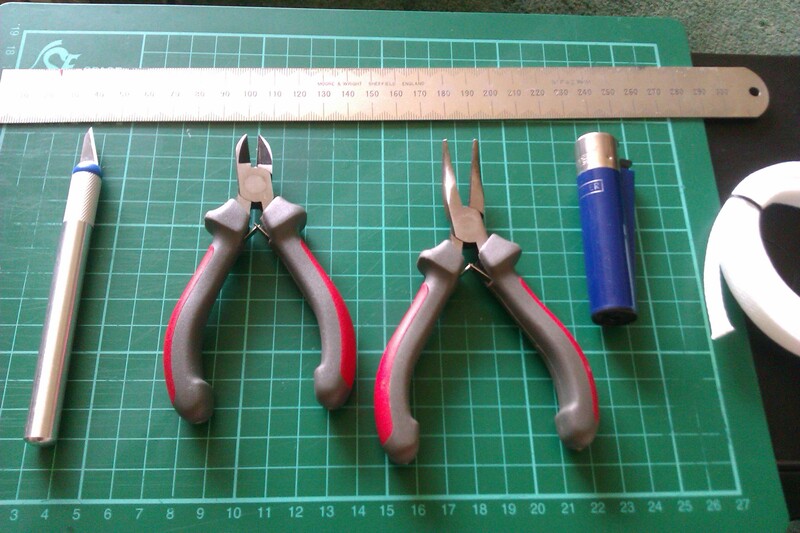 Once cut slide the sleeve over the SATA plug and line it up to where you want it, if your shrink does not slide easily over the plug use your long nosed pliers and stretch out the shrink (don't worry it will close back up). Next simply apply some heat making sure to rotate the cable as your heating, I used a lighter for this but a heat gun would be my preferred method, take your time with the heat shrink it's not a race. There is no Step 6! 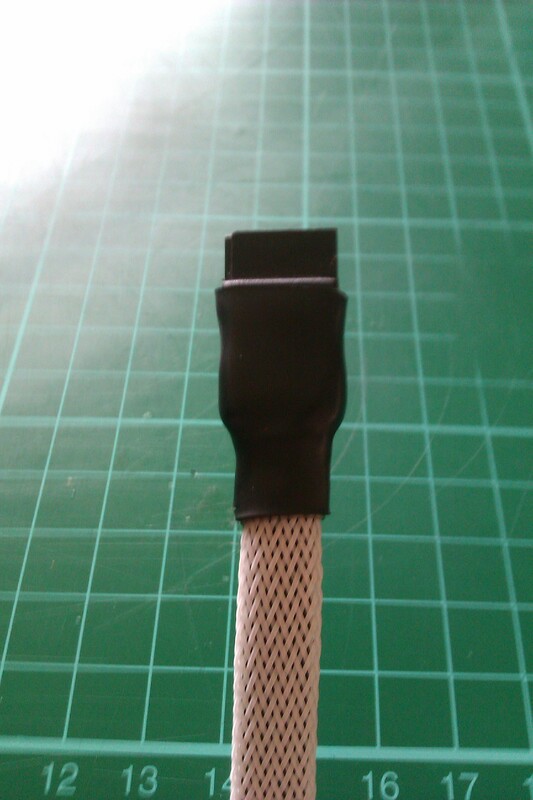 You should if all went well have a nicely sleeved cable, mine is not as perfect as I'd liked but I will redo them later. Well I hope this was helpful to you, I know I had fun doing it. WOO! Perfect timing for me Wraith , now I just need to get some bigger heatshrink and some sleeving (I wish paracord could come in a size big enough ). 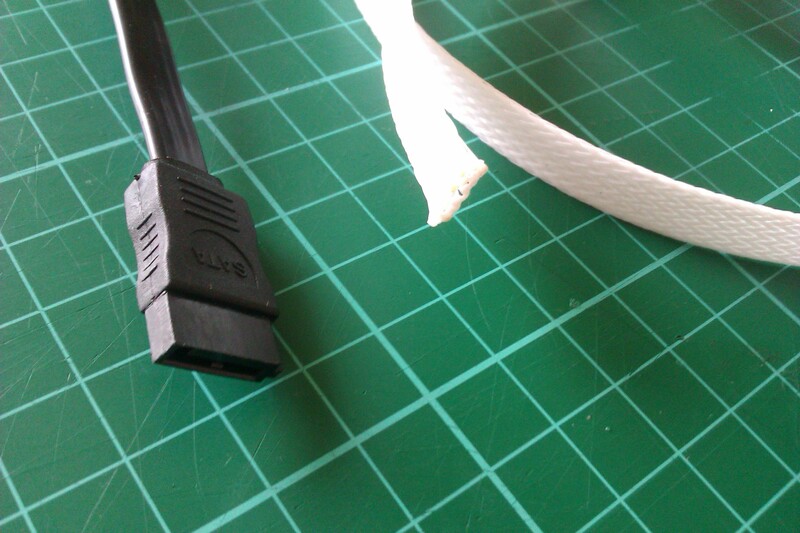 Would we be able to white-tape the cable and fit the sleeve? If yes, I guess this would avoid the black from the sleeve holes. Nice job! Top guide Wraith easy to follow with explicit instructions, and they look bloody fantastic too! Really informative and clear instructions, anyone else think it should be a sticky? Might have to use this one for my build... Thanks! That's the same way I did mine. 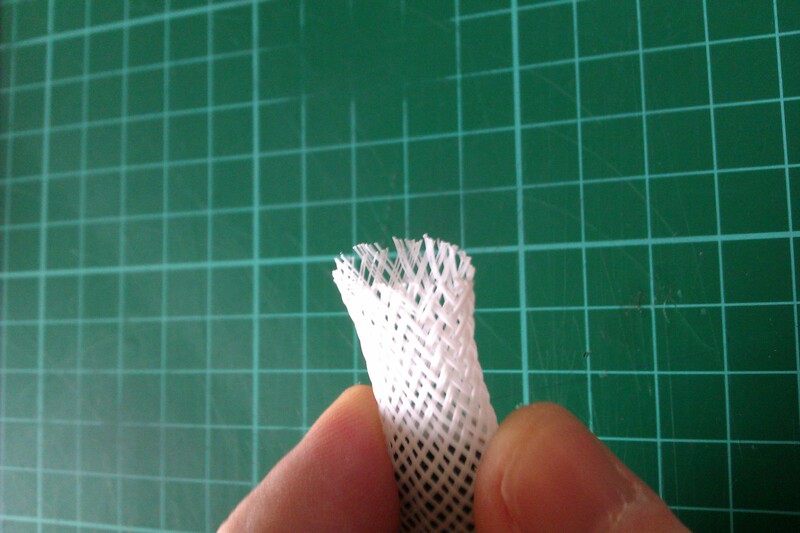 Avoid tape, especially if it's white! It goes yellow. It's defo worth doing it just the way the post suggests. Good work, and simple to do.